Fantastic Day Trip from the Bed and Breakfast in Victoria! Keep reading Fantastic Day Trip from the Bed and Breakfast in Victoria! 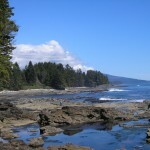 Posted in Events & Activities in Victoria | Comments Off on Fantastic Day Trip from the Bed and Breakfast in Victoria!